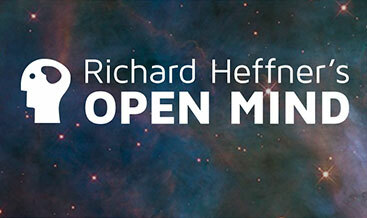 I’m Richard Heffner, your host on THE OPEN MIND … and I must say how pleased I am today to discuss with its author a book I’ve just read that provides the most positive possible insights into our profoundly human capacity to cope with and to change the continually shifting, challenging circumstances of our lives. Ambition: How We Manage Success and Failure Throughout Our Lives is published by Basic Books. Its author is psychologist-sociologist Gilbert Brim, former President of the Russell Sage Foundation and the Foundation for Child Development, now Director of the MacArthur Foundation Research Network on Successful Mid-Life Development. Well, Dr. Brim enlarges here upon the strategies we develop all through our lives to handle the exigencies we each must come to face, the successes and the failures that beset us all. Not just: “adapt or die.” Rather, much more positively: recognize our ambitions and our abilities to render ourselves capable, across our entire life span, to meet the challenges that nature, and humankind constantly set before us … and succeed. 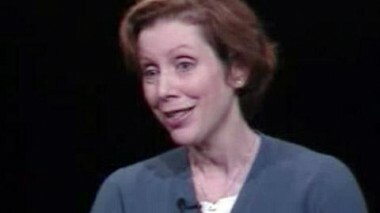 Well, a dozen years ago Dr. Brim, Jerome Kagan and I talked on THE OPEN MIND about constancy and change in human development, and I would first ask my guest today if Ambition derives from his earlier thinking about the tension between what is and what can be … between challenge and response? Dr. Brim? A relationship between the two? BRIM: This book is derivative of the earlier book in that it has the image of human beings’ capacity to change themselves throughout their life span, so that’s one connection. And the wish to be something new and different and to find a challenge in life while at the same time remaining in many respects the same. HEFFNER: It’s interesting to me that you, you write in Ambition, and by the way, I thought it was a strange title, Ambition almost implies something materialistic. You obviously don’t mean that, do you? BRIM: No, the … we had other titles as many books do … one title was Losing and Winning, which is also apt. In this work the term “ambition” is broadened out to refer to a general desire or drive for growth and mastery that’s characteristic of all of us. So it doesn’t have a political meaning, it doesn’t have a selfish meaning, it refers to our human nature to always be striving for something more than we have now. HEFFNER: Well, that’s what I was going to point out … here in your saying “We must not equate the drive for growth and mastery,” and that’s the drive that you see as human, basic to our humanity, “with capitalism, free enterprise and the Protestant ethic. The important point is that every nation or culture is achievement oriented toward its own characteristic goals.” Obviously you wrote that because you were concerned that there might be some effort made to politicize what you’ve done here on a psychological basis. BRIM: Yes, the word “ambition” puts some people off because it’s been associated for so many years with political ambition and to a certain extent, greed, avarice, deriving from … interesting … the word derives from the Latin meaning “to go around – ambit,” and it came to mean politicians going around hustling votes … so it’s had this pejorative sense for a couple thousand years. But, it’s changing. HEFFNER: But what about the relationship between it, this, this drive for mastery and control and achievement and the Protestant ethic. You say you don’t mean to make that connection but it, it resounds. BRIM: The main theme of the work is that each person tries to set a goal for him or herself that is just challenging enough to provide satisfaction when it’s achieved. A level of just manageable difficulty that we all strive towards. And it doesn’t make any difference what walk of life or what level of life one is, you can find something challenging to work on. I think it’s this great capacity of humans to create something out of nothing, even the meanest circumstances define something that will be exciting to them. So, I wanted to make the point about ambition that it’s a word that is characteristic of the human animal and it’s another word, a synonym, for this drive for growth and mastery. HEFFNER: … who at an extremely advanced age, and it’s a, it’s a most touching tale, managed to find his limitations … he understood his limitations, and they increased as he grew older and older still. But his sense for mastery at the level that he could achieve was, was so, so very touching. I gather that’s the psychological basis for what you’ve written here. BRIM: … and used to roaming the mountainsides, and in his 100th year his, when he can hardly see, his pride was a outdoor window box that he could take care of and he was as happy and challenged by that window box as he used to be trimming the mountain top with an ax and a saw. So it is a good example of scaling down ambitions, but still maintaining a level of challenge and it … it’s not just as we grow old, it has to do with changes of fortune, of disabilities in mid-life, but the metaphor for scaling down here is the coming down the mountain to the window box. BRIM: Well, coping implies to me a reactive human being trying to deal with the wins and losses that occur and, and come out safe in some way. The view of the human animal presented here is much more pro-active. It seeks challenges, it seeks to create a mission. So instead of “coping,” I think we manage and direct and master, so that if we lose, we set up a situation that is less challenging than before sometimes, but still keeps us going. If we win, we need to re-create, re-structure our lives to find something new to work on. I see the, the coping word comes out of clinical or stress literature, managing stress. And this is more a day to day management of life in which we formulate problems to keep us happy when we’re solving them. HEFFNER: That’s interesting you say that. You say “formulate problems to keep us happy when solving them.” In other words, you’re saying it is in the nature of human nature for us, our need is constantly to posit things for us to master in turn. BRIM: Yes. And what follows from this is that one of the … is that even though we all know the stories of the emptiness of success, I don’t think we fully have in our minds the fact that dealing with success or managing a big win is as much a task as managing a big loss. We hear more about losses, we hear more about dealing with losses, but people who win a lot, who win … particularly those whose achievements exceed what they thought they could have are found … now find they have nothing to work on, and they need to create some new challenge. So, one of the casualties in American life, for instance, are lottery winners … hard to believe, but suddenly they’re empowered to achieve all the things that money could buy and many goals are, can be achieved through money, and they then are monetary winners, but they’re social/psychological casualties because they do not know what to put in its place. So the lottery winning is analogous to other huge successes where people are … need to find, to create some new level of difficulty. HEFFNER: You know, I wondered when I read Ambition whether you were directing yourself to a certain class, that you were reflecting your own background, your own upper-class, upper-middle-class, highly educated, highly skilled professional orientation. Is that a fair question to ask you? BRIM: It’s a fair question. But that is not the case. This, this, this work started when the data on happiness began to come in. Over the past 20 years we’ve accumulated so much information showing that people’s reports on whether they are happy or not … what we call “subjective well being,” psychological well-being are virtually unrelated to social class position or income or occupation, age, health. None of the things that you would think would relate to feeling good about yourself or happy. So this forces one to say, “what’s going on here that people in all walks of life report themselves as equally happy.” And it must be that they’re able to create, no matter what their circumstances are some course of action, some challenge that working on gives them satisfaction, and I … what’s most extraordinary about the human animal is our ability to, even in the meanest circumstances, to create something that we find is worth working on. So at, at first glance it would seem to be a statement that would require people to be affluent to talk about having to deal with too much success or being able to create tasks that challenge them even in the simplest circumstances, but in fact it’s … leads them to a universal description of human nature. HEFFNER: Doesn’t that mean then that you’re giving the lie to those who say that these people are slothful, these people are lazy, these people wouldn’t work if you gave them jobs to do? BRIM: Oh, certainly, that would, would not … some people may not be interested in work per se, but it doesn’t mean they’re not interested in anything. Occupation’s only one form of human activity and challenge and where that human energy is directed depends on lots of circumstances … culture, right? Social rewards. I would say I wouldn’t want to generalize about the work place, but I certainly would generalize that you can’t say people are slothful across their whole lives. HEFFNER: … and Dr. Kagan and I did together and at one point I said, “Well, you don’t claim for yourself to be a social engineer.” And we went on from there. HEFFNER: And I think you do not. But there must … you must see consequences to the thesis that you set forth that we are all looking for challenges, we’re all looking for the opportunity to exhibit mastery, and that’s the driving motive of human nature. Now, what are the implications for schooling, for instance … or social programs? 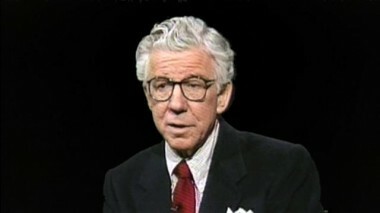 BRIM: The truth is that happiness is only one human value that we have. People can be happy in circumstances that they know are dangerous to them, even if they don’t know they’re dangerous, people can be happy in situations that may kill them, the fact that the human animal is strong enough and tough enough and creative enough to produce happiness out of ill health, old age, poverty is not a justification in itself for not taking social action to remedy those situations. It’s a tribute to the greatness of the human animal that men and women are able to do that, but it’s not basis for social policy that makes people stay in this situation. HEFFNER: So that “let them eat cake,” or “let them make their own way” is not something that finds its support or support for itself here. BRIM: It’s a, it’s, it’s a danger in a book like this that, that point of view is taken and so I’m pointing out as I do in this volume that that happiness is not the only purpose that we have. And it’s not the only criterion in which society judges its goodness. BRIM: I like that phrase. HEFFNER: … you’re saying just, just sort of stay enough, not ahead of the game, but enough behind the game, in a sense to want to keep going, to want to manage that difficulty that still exists in front of you. HEFFNER: The stories about those who have had the challenges taken away from them, there’s nothing just manageable in front of them because the difficulties have been removed. BRIM: And just as they find in their little lives some niche of their own, where the parents or the nanny or whatever have not yet discovered and is able to work on something of his or her own, and is discovered then, they come and buy it or do it for them, so that’s also taken away. About 10 years ago there was a lot of interest in the problems of children of affluence along these lines. They had nothing to work on that, that was their own that they could master. HEFFNER: … for a child at a certain age, no longer to be simply the recipient of people doing things for her or for him. Again, you know, Dr. Brim, it, it seems to me that it would be pretty darn difficult not to see political, or political philosophy, philosophic extensions of what you’ve written here. And there have been those who have taken the Great Society and said that the trouble with the Great Society, the unanticipated consequences that derive from the Great Society, and some if not most of it’s programs, had to do with removing difficulty. Now you and I know that difficulties were not removed, but so diminishing them that the human need for conquest was also diminished, leading to the sloth that people frequently point to today. Any comments? BRIM: Well, as you know, I’m not a political analyst or a political philosopher, but it does seem to me that you have to go back to your upper-middle-class affluent persons who, who are even more wealthy than the recipients of social welfare benefits would be, do not turn out themselves to be indigent or slothful because they have money, they’re upper-middle-class … they have a great variety of things that interest them and they work on, including their occupations. So I think that it’s a specious argument to say that it’s taken away the … that the money itself has taken away incentives. I think it’s the nature of the incentives that are offered that are lacking. And I think when you go to look at the lives of recipients of social benefit programs that, indeed, they have created activities of challenge for themselves outside of the occupational system, if that’s maybe the case. HEFFNER: Well, I, I wondered, too, whether in any way your emphasis upon the … what you consider to be the basic human instinct for moving out and mastering difficulties, whether this conflicts with or sets aside or has any relationship to other traditional psychological interpretations of the nature of human nature. And where does, where does this notion fit? Does it, does it … is it a particularly different approach to looking at human beings? BRIM: No, I don’t think so. I think that that the, the conception of human beings as being driven towards growth and mastery, curiosity is, goes back as far as we have images of human nature. So that part is not new. What is new is to … well, I should say that’s not true … there are other points of view, of course, that achieve and motivation is acquired through certain kind of childhood experiences. Or that human by, by nature are basically lazy and need to be incited in some way to action. Alternative points of view. So these are always competitive. My own view, as I’ve said, it comes … I’d like to say it comes with the DNA, that’s the nature of the … nature of the organism. What is distinctive in this particular treatment is taking that point of view, relating it to the distribution of happiness which kind of makes the point that something else is going on here beyond just income and social class, and then describing it as best we could in some detail the way in which humans, in … at least particularly in American society, in the contemporary period, manage to find ways to keep themselves happy by finding things to work on to express this drive. And I … some of the parts I like best in the book, for example, that of the paraplegic victim sitting in his … I mean sitting in his chair saying “You think I sit here wanting nothing, and yet I’m thinking here I wish I could leap up and strangle you.” And I use that to give the point that when you dig deep enough and look around that everybody is working on something. And that’s what I try to do. HEFFNER: … is there any indication that in any other setting, you would question the prevalence of ambition? In the East, for instance? BRIM: Well, the East is a very interesting case because I like to tell the story of the student studying with gurus to achieve a loss of self, and this is viewed in the West as a non-ambitious or impersonal loss of self, and yet the aspirations to lose oneself and to be selfless are every bit as powerful as the ambitions in the West to, to enhance your own individuality. So, it depends on the nature of the goal, but underneath it, the characteristics are the same. HEFFNER: So ambition is all mastery … or the search for mastery is all. Thank you so much for joining me today, Dr. Brim. BRIM: Thank you very much.